That’s such an interesting point that I’ve never really thought about. 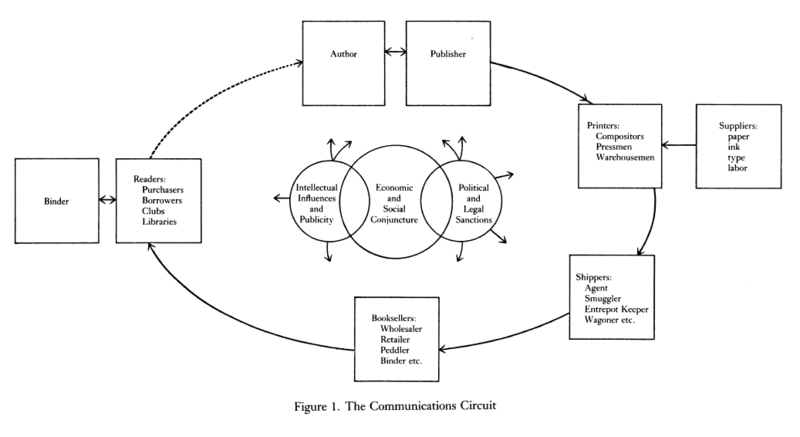 I love how you incorporated the “communications circuit” into your post and the process a literary text goes through after the author’s written it. It’s a very unique idea to focus on the way the material is presented in a text and how that impacts their understanding rather than the actual content itself. This idea also makes me think about how teaching cursive writing is being removed from elementary school curriculum and just goes back to your point about the technological advances the world faces today. It’s pretty scary to me but I’m excited to learn more about this idea in class!